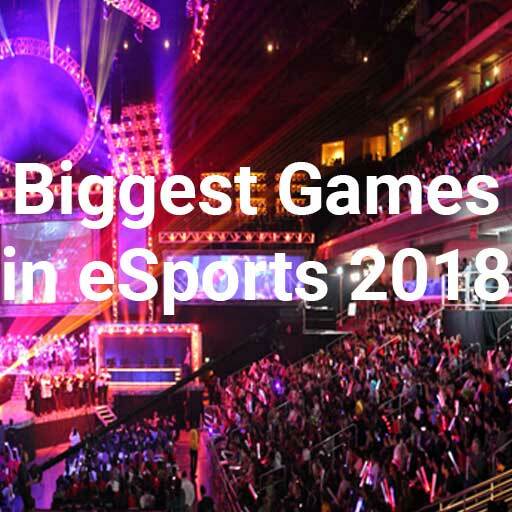 Esports is a multi-million dollar sector that continues to proliferate all over the world. With the growth of virtual reality and technology that expands the dimensions, players feel when playing. eSports have grown in popularity with both playing and betting. Companies and betting shops have jumped in to take part in the action with prizes for winners and those who make winning bets. But there are some games more valuable than others. These are some of the most significant games in eSport betting. It does not matter what edition, what setting, what style is being played, Call of Duty has been a global hit since its release because it is a war game and people like to role play. The premise is as simple as it can be; players, all from the first-person perspective, have multiple guns and weapons to fight against others to different objectives. The game is set in World War II, the American Revolution, contemporary setting, and even the widespread zombie outbreak. They are played as one-on-one and in a team format. Amazon (yes, them) Game Studiosthird-person sporting video game features mythology and military in this fast 4-against-4 battle. Here, teams get a weapon of choice in the centre of the battlefield and fight till the last person on a team is killed. During this fight, a ball called the relic has to be moved into the on the opposing side, just like football and hockey. Breakaway has become prominent for their mix of various structures that can be moved plus the playing capabilities that is expansive on control. This PC game quickly expanded to being a growing played eSport. League of Legends is one of the most popular PC games in the world. Released in 2009 by Riot Games, this battle arena multiplayer game has been a favorite eSport thanks to the ability players have to develop powers and defeat the other teams by annihilating their home called the nexus. There are five players on each team with a captain, or “champion,” during every game. There are 130 different characters to pick in different categories. League of Legends has over 100 million players around the world, making it the world’s most popular eSport. Counter-Strike is a first-person shooter game in which two opposing teams, terrorists and counter-terrorists, go against each other in a setting very much (if not too much) like real life. Terrorists have initiatives to plant bombs and capture hostages, while the Counter-Terrorists have the job of stopping a bomb from going off and rescuing the hostages. At the end of every round, players are rewarded for performance and results. Counter-Strike is probably the vital game in the eSports industry for players and bettors. Esports betting is significant regardless of the game being played. But the big ones get the most money attracted towards them. They have jumped from the computer to the big screen. For gamers to play on and for viewers to gamble on for the big winnings. I will keep posting blog posts about the topic esports and betting. Be sure to visit https://www.esports-betting.uk every week for my latest posts. Thanks for reading!